The newly established MacArtney Canada office has delivered EMO multiplexer systems designed to offer up to 2,000 watts of DC power distribution for Unique System LLC (USA), a Unique Maritime Group company and integrator of turnkey subsea and offshore solution providers based in New Iberia, La. and Houston. 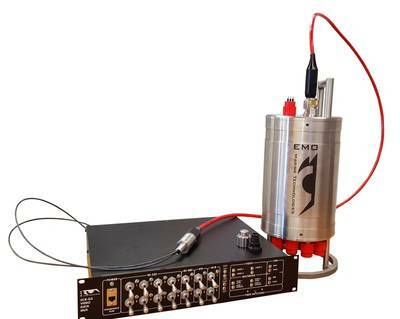 Unique System, which specializes in the supply of equipment for sale and rental to the diving and offshore industries in the Gulf of Mexico region, has taken delivery of two EMO DOMINO-7 Mk-2 fiber optic multiplexer systems at its Houston branch, joining the company’s ROV rental pool of products. The EMO DOMINO-7 Mk-2 has been designed to offer up to 2,000 watts of DC power distribution from a universal AC supply with power controlled by rugged locking switches at the DOMINO-7 topside mux rack. This multiplexer system offers a range of video, Ethernet, and serial data channels over a single or redundant fiber optic telemetry system. The system is rated for 3,000 meters ocean depth. 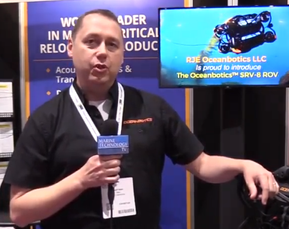 The DOMINO-7 line is the most compact form-factor of working class ROV multiplexer systems available on the market today, according to MacArtney. The DOMINO-7 MUX system remains flexible to user requirements and can be rapidly reconfigured to meet the power and protocol needs of a large number of ocean tools and devices.